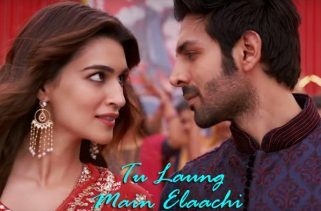 Poster Lagwa Do Song from the upcoming movie Luka Chuppi is starring Kartik Aryan and Kriti Sanon along with Pankaj Tripathi, Aparshakti Khurrana and Vinay Pathak in lead role. The Film is directed by Laxman Utekar. The Movie is set to release on 1st March 2019. 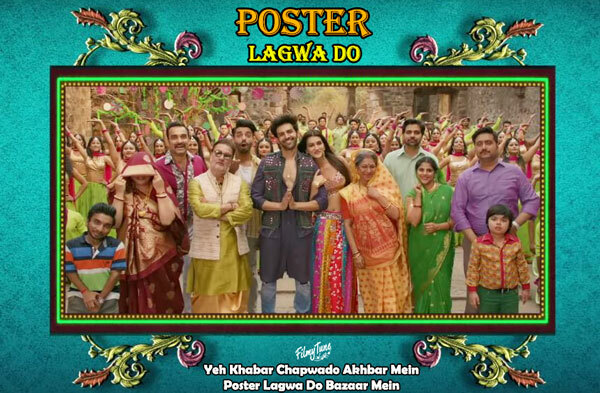 Poster Lagwa Do Lyrics have been written by White Noise Studios. 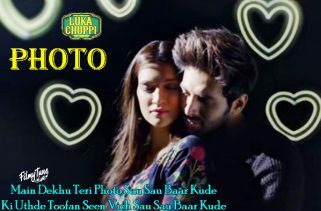 Mika Singh and Sunanda Sharma are the Singers of this latest Bollywood video song. The Music is composed by White Noise Studios as well. The Original Song Yeh Khabar Chapwado Akhbar Mein was starring Akshay Kumar and Urmila Mantodkar. 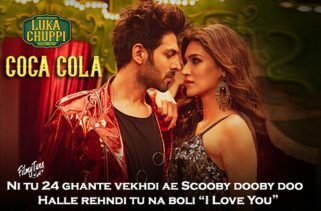 Lyrics had been written by Anand Bakshi. The Music was composed by Dilip Sen and Sameer Sen. Lalit Sen and Shweta Shetty were the Singers.